40 Amazing Magic Tricks by John Adams. 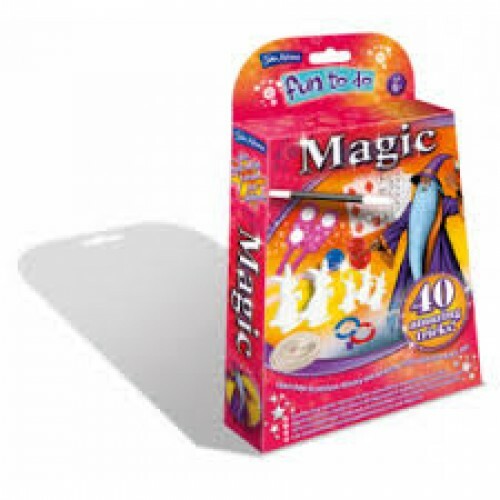 Learn how to perform 40 easy and amazing tricks with this Magic Set. Age 6+. Set includes instruction booklet, magic wand, 2 paddles, magic balls, 3 rings, 4 printed cards, rope, foam rabbits.